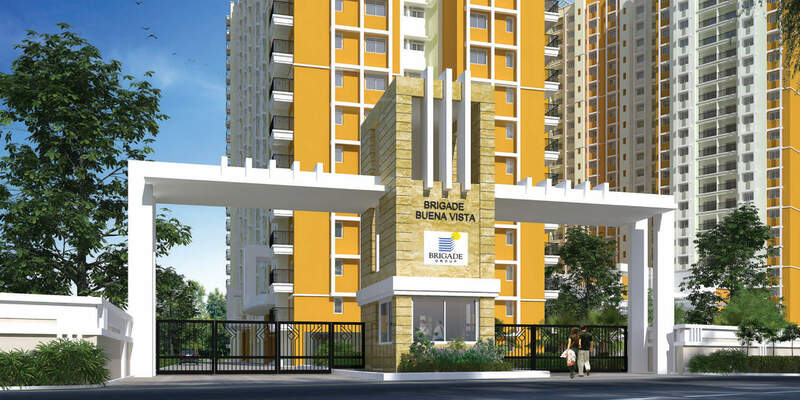 Experience the uniqueness of Brigade Buena Vista, a residential enterprise involving superior outlines, innovative features and finest amenities. 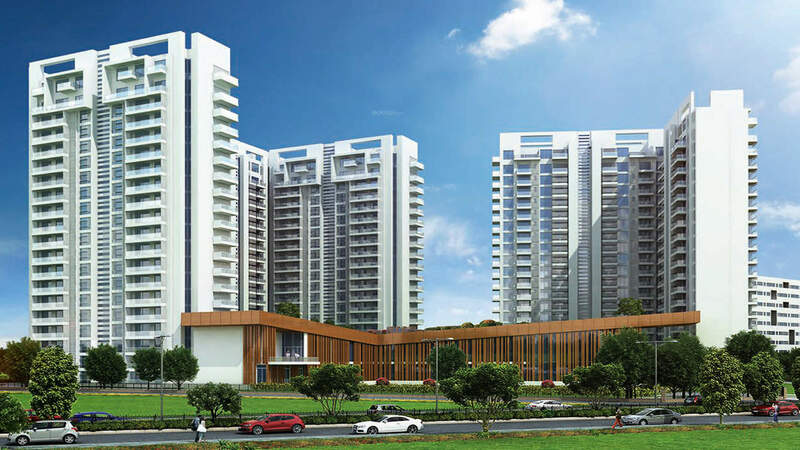 The project is planned and developed by top real estate brand of Brigade and is located in rapidly developing suburbs of Budigere Cross, East Bangalore. This establishment features 2 and 3 Bedroom luxury apartments coupled with opulent interiors, exteriors and subtle specifications. The apartments are vaastu compliant with favourable inflow of fresh air and sunlight to keep the homes well ventilated and well lit. 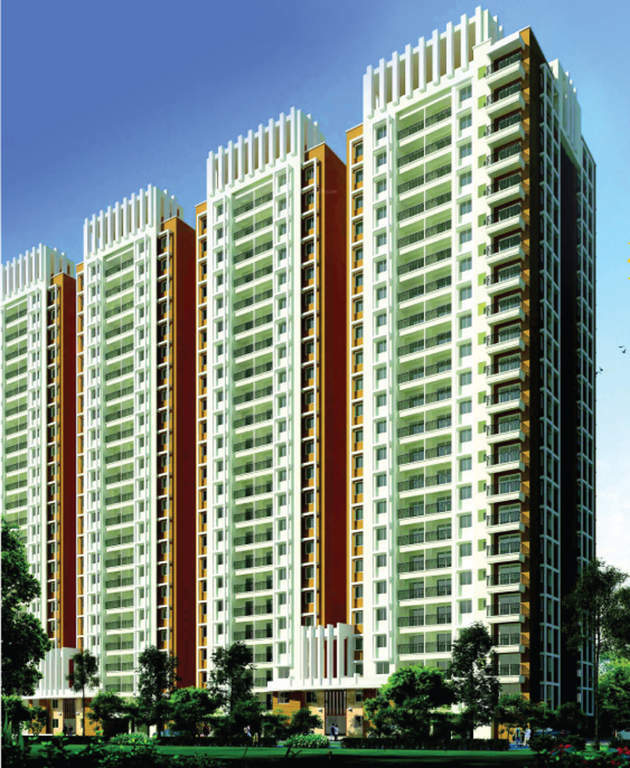 The size range for 2 BHK varies between 107 – 111 sqm and 138 – 155 sqm for 3 BHK. 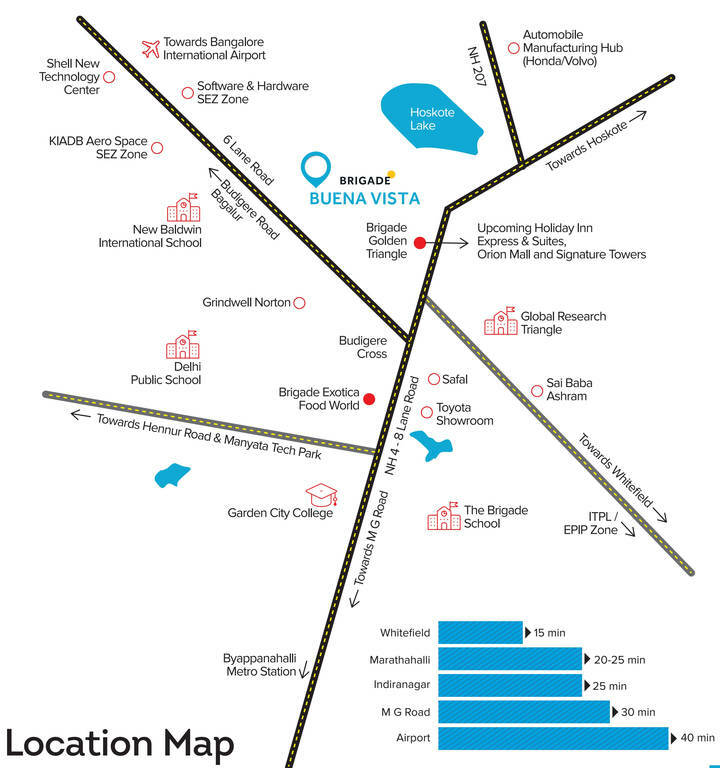 The premise enjoys excellent connectivity to Indiranagar, Whitefield and the International Airport. 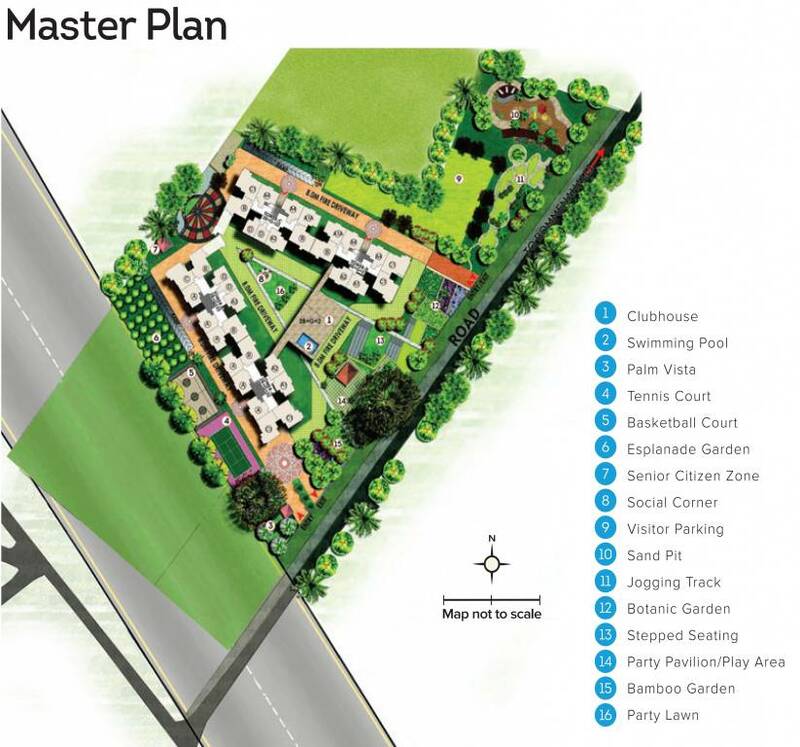 The IT parks of Whitefield, Sarjapur, ITPL and Electronic City are in proximate distances. The neighbourhood is equipped with well established social and physical infrastructure and comprehends good roads, reputed educational institutions, hospitals, super markets, shopping malls and fine dining restaurant. Budigere Cross is located towards east Bengaluru. It is surrounded by areas such as Hoskote, Horamavu, Chikkagubbi, Anagalapura, Ramamurthy Nagar, Kuvempu, ITPL, Whitefield and KR Puram. The IT Parks of Whitefield and Marathahalli are 7 and 11 kilometres from here, respectively. Budigere Cross is one of the rapidly developing areas of Bengaluru. The Kempegowda International Airport is around 35 kilometres from here.